To engage and connect with your customers at the right moment and at the right channel, your business needs to have the right mix of digital marketing strategies. We, at Indus Net TechShu, can help you create ROI-centred digital marketing strategies to help you leverage the power of digital. With our focus towards providing tangible marketing solutions, we can help Delhi-based businesses of all sizes seize the opportunity that digital offers. And in today’s digital landscape, opportunities galore for businesses! 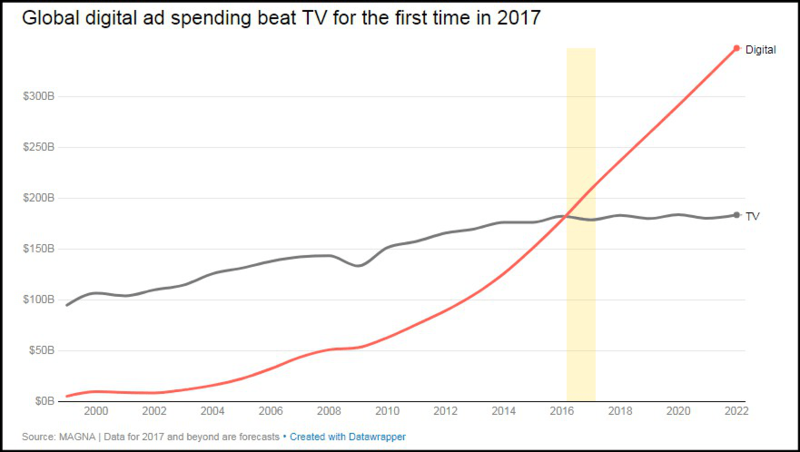 No wonder why in 2017, for the first time digital advertising finally beat TV ad spend. It hit $209 billion across the globe (41% of the market) whereas ad spend on TV stood at $178 billion. With more than 15 years of experience in the digital marketing industry, we have deep insights on how digital marketing works for different industries. No two businesses are same. So, why use a one-size-fits-all marketing approach for digital? Unfortunately, businesses are still using a one-size-fits-all approach. According to the Salesforce State of Marketing 2017, 52% of customers are likely to switch brands if marketing is not personalized. Customer research – demographics, channels your customers love to hang out, their buying behaviour, how they use digital technology + more. As your digital success partner, we will keep you updated with the latest trends in the industry. Every month we will send you a newsletter called Digital Marketing Digest with the important digital updates from the previous month with insights. You can also check our digital marketing Apple page which is updated every day with the day’s latest and the most relevant digital update and stories. Know more about our digital marketing services here https://www.techshu.com/digital-marketing-services.